Even if I find myself in the middle with Killer7, I'd still recommend everyone give this a go. It may not be a game you need to finish, necessarily, but it's utterly unique and needs to be seen first hand. I don't think Suda hit his stride until his next title (No More Heroes), but you can see the seeds of greatness were planted with Killer7. 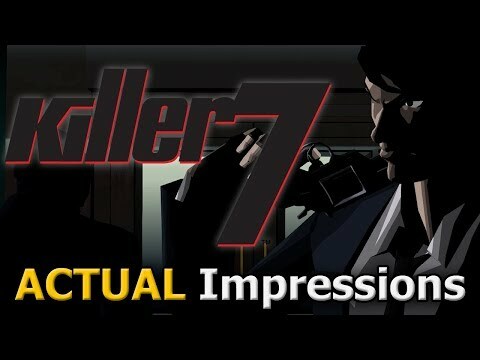 Truly, Killer7 is a mad piece of work, and embracing it doesn’t come all that easily. Those who do open their arms for it though, will find themselves in for one hell of a wild ride. Bizarre and catchy with awesome story. But a bit outdated with terrible controls as well. Though this story of war, assassination, and disposition is not for the faint of heart, it will indulge those seeking a deep and dark universe. killer7 is a nostalgic trip back to a style of gaming that encourages players to find their own answers by exploring a rich universe.